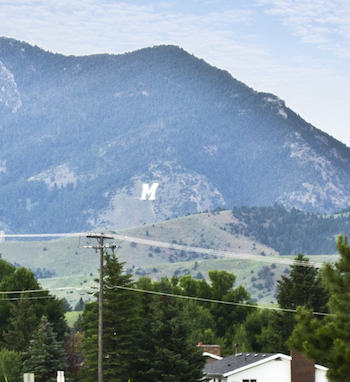 This is a fun and scenic but super-challenging hike/run to a unique spot — a giant ‘M’ sign representing Montana State University. The ‘Trail to M’ starts off Bridger Canyon Rd., about 4 miles north of downtown. It is a 1.8 mile loop, climbing 800 feet in over 1 mile, with 10-11% grades. The terrain is open and scenic. The descent is short and super steep — use caution! For more, Bridger Canyon Rd. is scenic, but the road has no shoulder, so use caution. There are other trails in this area — but these are definitely for trail running and can be quite hilly and challenging. From the College ‘M’ Trail, the Bridger Foothills Trail continues north toward Baldy Mountain. Just across Bridger Canyon Rd., on the south side, is the Drinking Horse Hill Trail.